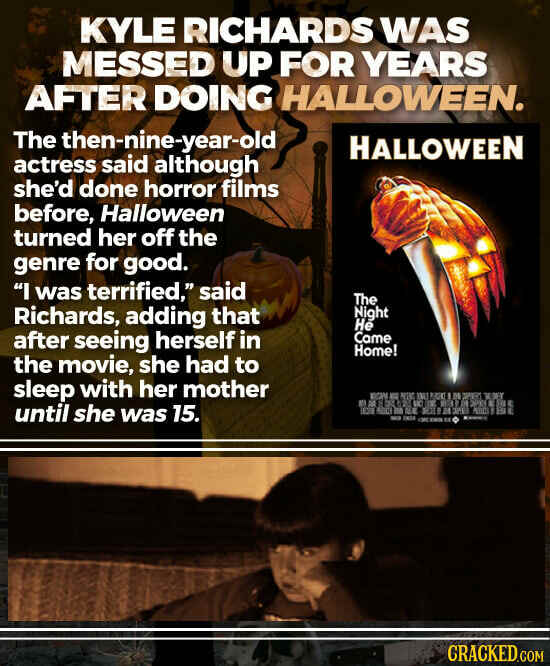 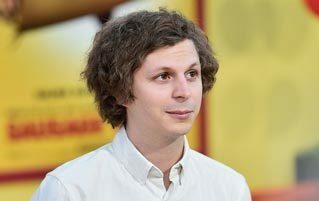 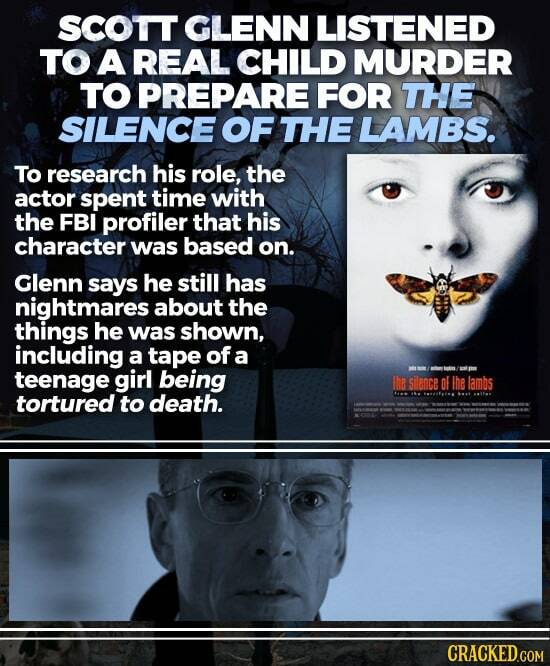 Horror movies are scary, disturbing, and otherwise messed-up on the screen, no surprise. 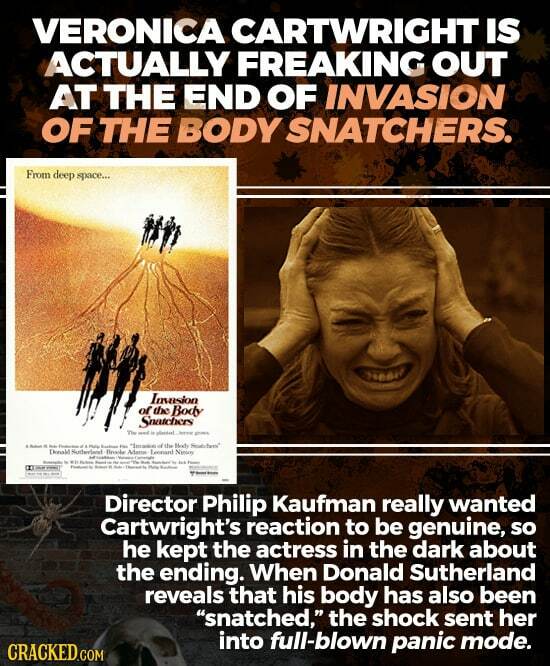 But sometimes they're a lovecraftian nightmare behind the scenes, too. 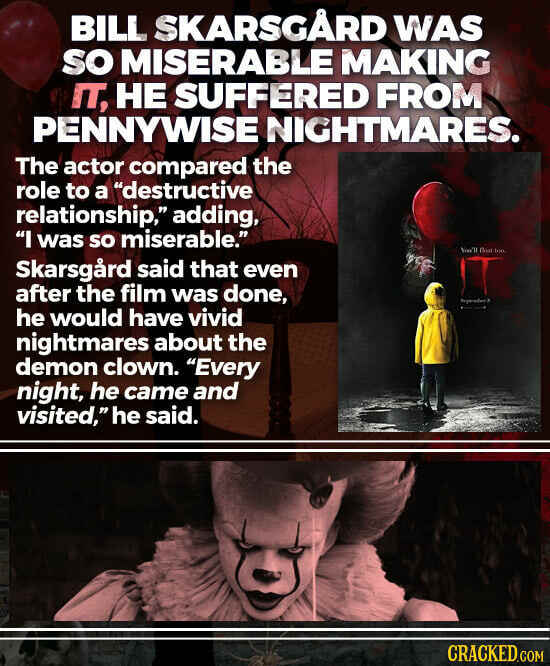 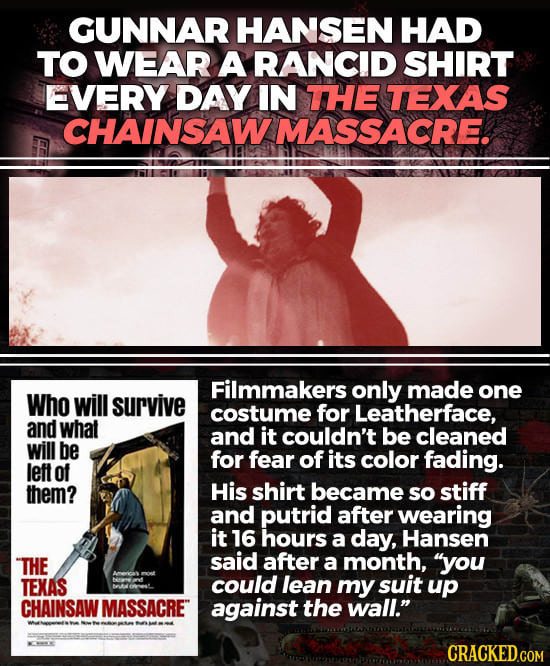 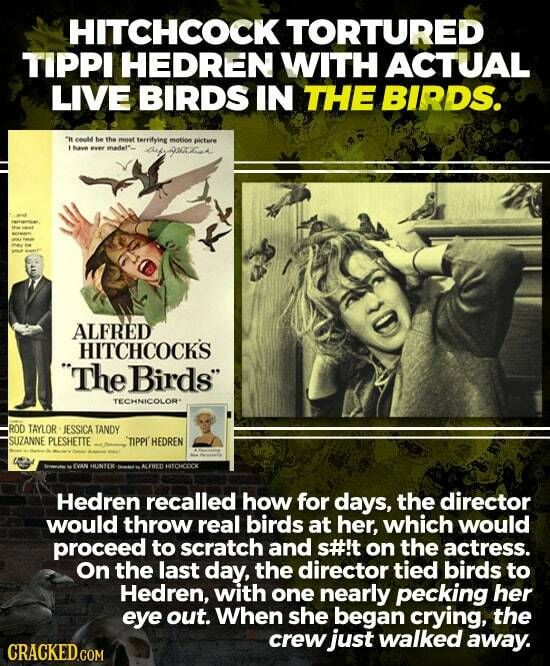 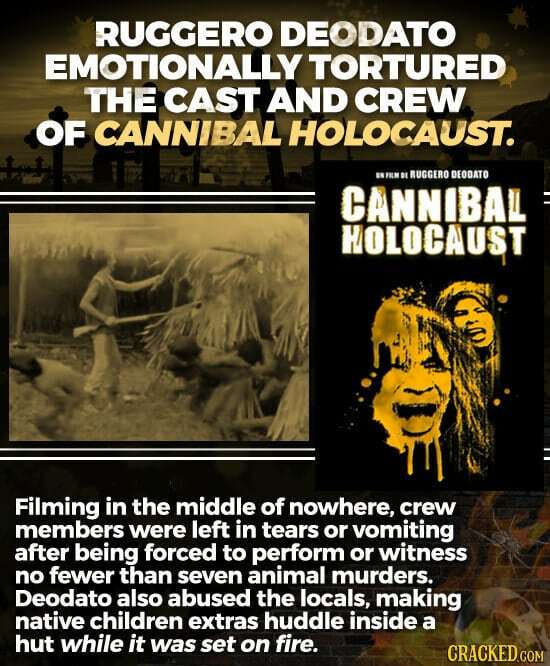 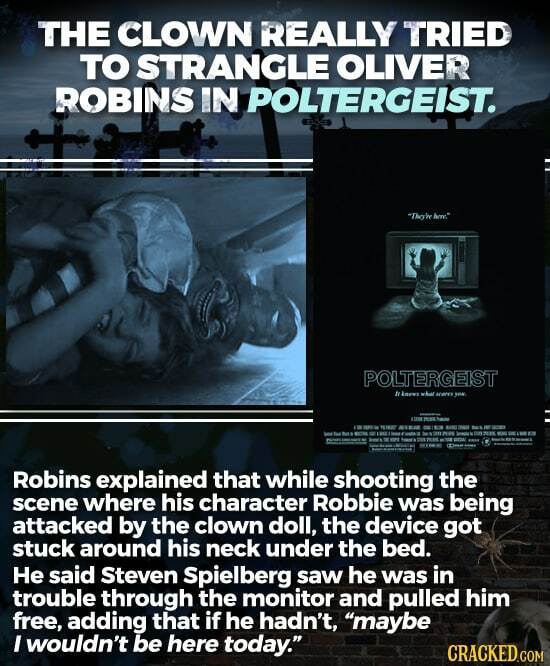 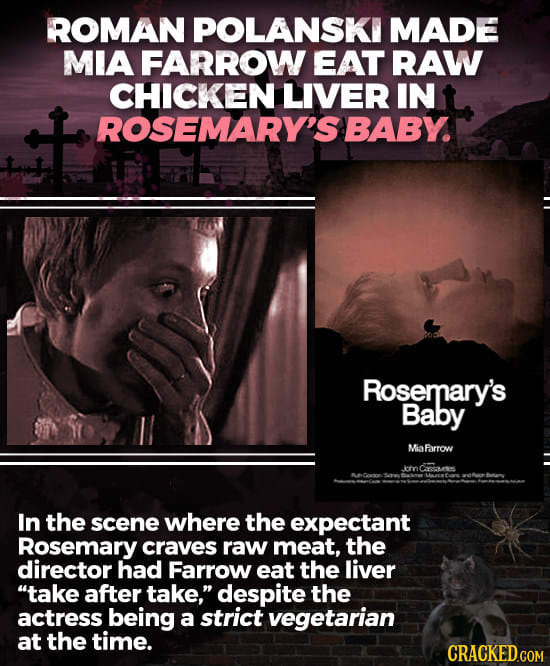 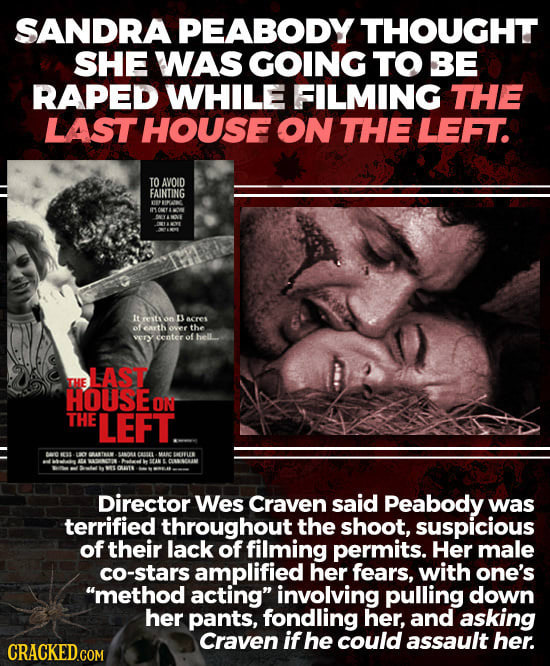 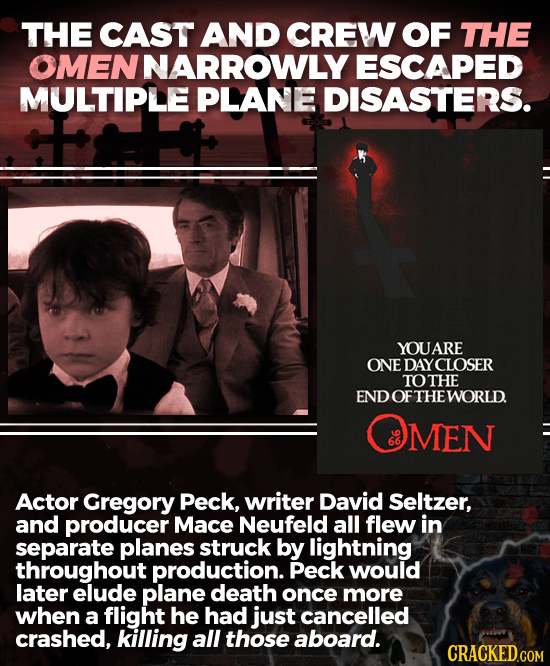 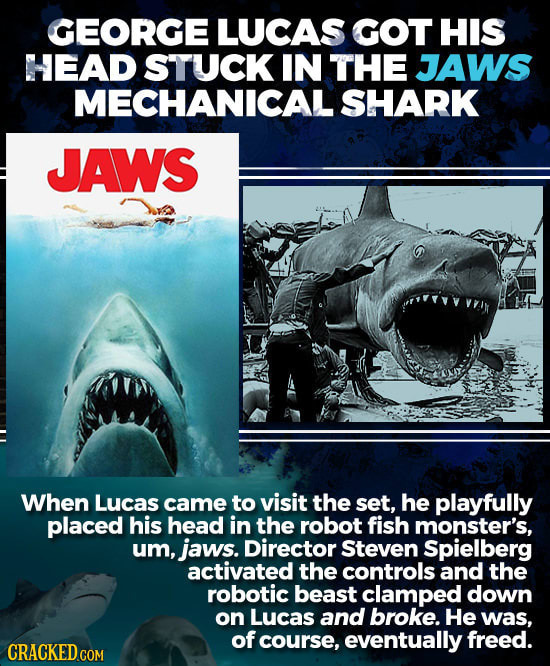 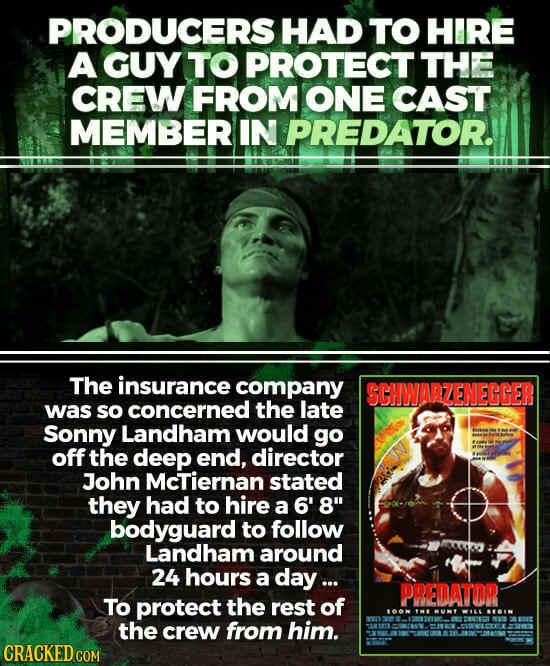 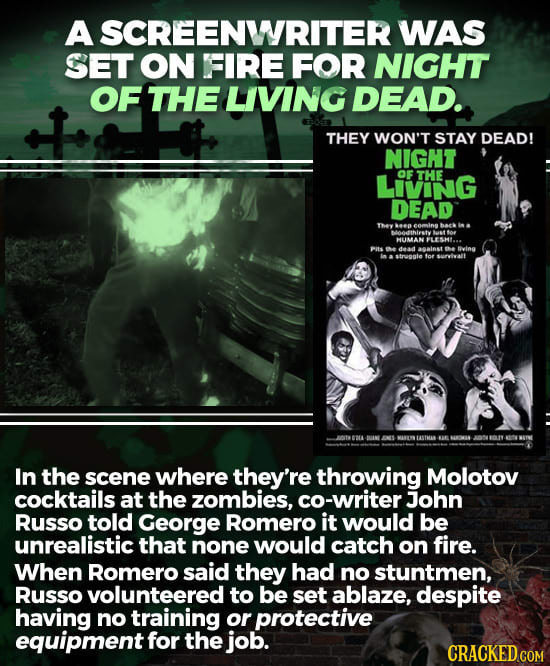 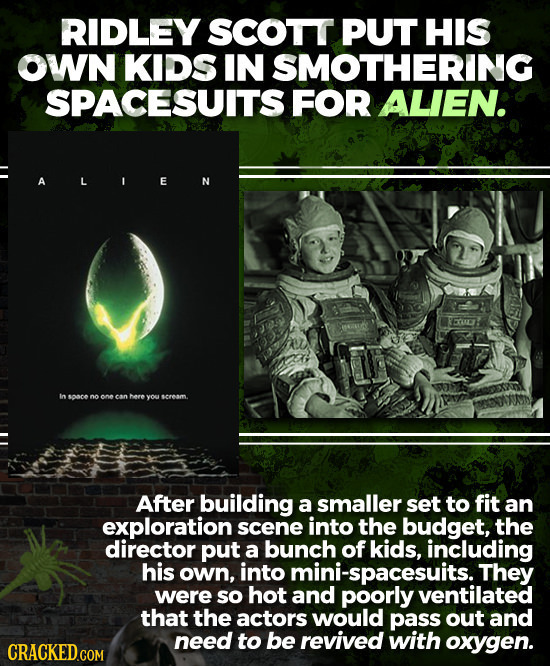 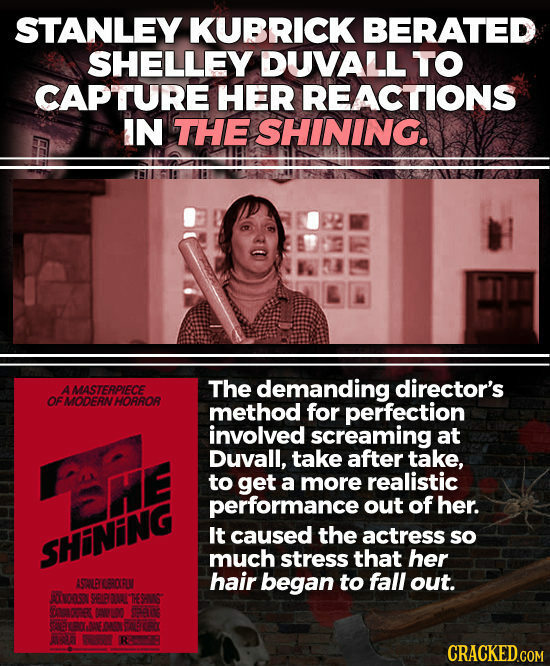 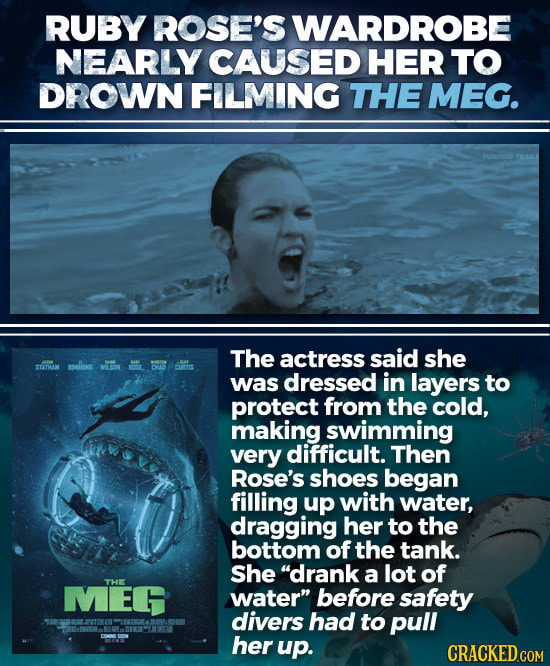 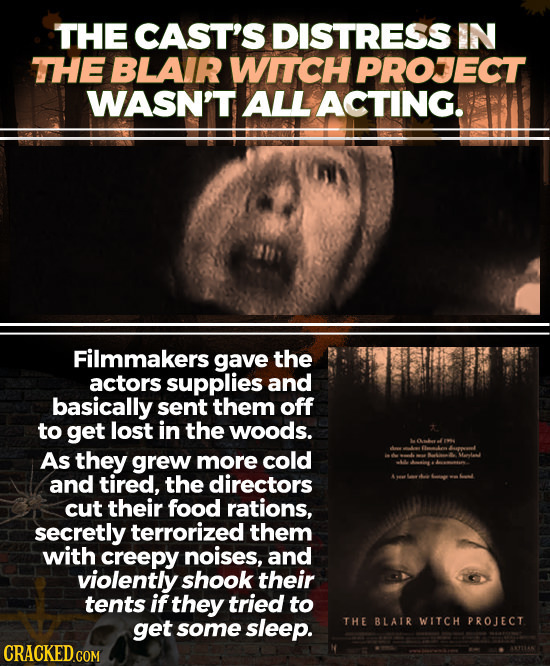 Whether it's insane directors making their lives a living hell, sets and effects that try to eat them alive, or just the world being a terrifying place, actors on horror movies have had to endure some screwed-up s**t.
For more, check out 24 Horrifying TRUE Stories Behind The Scenes Of Huge Movies and Simple Movie Moments That Were Insanely Complicated To Film.